Crich is a beautiful village set within the delightful Derbyshire countryside. Lane End is two minutes away from the open fields, offering stunning views of the Derbyshire countryside and walks, which are ideal for the hardened fell walker or the casual stroller. Lane End is a delightful, stone-built, detached house, in the centre of the village, offering tastefully decorated rooms, quality fixtures and a welcoming atmosphere. 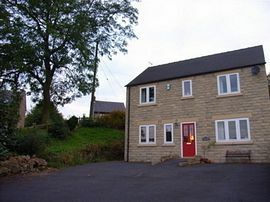 This bright, cheery Peak District home, is ideal for getting together to enjoy the area. The sitting room, cosy snug, large kitchen/diner and spacious garden with decking offer more than enough space for larger families or groups of friends. Crich village offers a variety of pubs, a locally renowned cafe/delicatessen, green grocers, butcher, newsagents, general store, fish and chip shop and pharmacy. 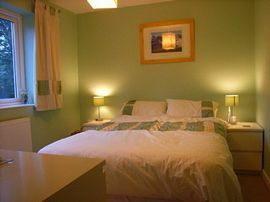 An excellent base to explore the stunning countryside of the Peak District! Excellent amenities within a delightful village location. Stunning walks just a stone's throw away! 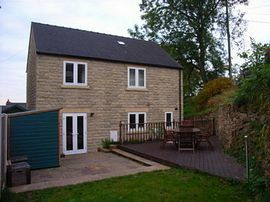 The property is accessed via a tarmac ramp, leading to the ground floor single bedroom and toilet. Enclosed garden, including a paved and decking area. Perfect for a BBQ! Large shed is available for cycle/equipment storage. Ample parking at the front of the property for 4 cars. Local Services: Crich is a very popular village with a variety of amenties including a new Bakery with cafe, butchers, post office, pharmacy, grocery store and 2 shops. From Matlock or Derby: follow the Derby Road (A6) and then follow signs to Crich. On entering the village square, follow the road up the hill, past the Black Swan public house and take the hard left hand turn at the monument (in the centre of the road) onto Jeffries Lane. Follow the road until you see Lane End, the last house on the right.